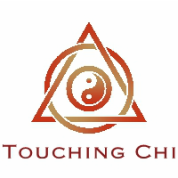 What is Chi Nei Tsang? Wood is expansion, clarity and intelligence; it is the rational thought process, the power of growth and generation. It draws water (potential) into itself, sparking ideas to life; it makes plans, develops theories and is always growing and producing ideas. Wood is the rational thinking mind connected with the nervous system. The body is a mirror-like bio-mechanism that operates and responds according to a set of patterns and beliefs. These patterns are a lens through which the mind interprets the world. When we heal, we reset the system through the transformation of patterns and beliefs that no longer work. When we change our thoughts and beliefs, our lives can change. This process can be quite tricky at times because of the authority the mind has over the information that comes in and out. It has the power to literally censor from view information which can be connected to subjects that hold unprocessed charges leading to imbalance and dis-ease. So, to quiet our mind is a very important task in the healing process. Positive aspects: Generous, kind, relaxed.